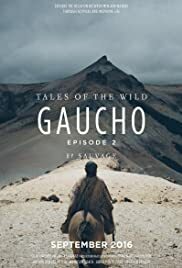 Tales of the wild is a series of documentaries that takes us on an extraordinary journey into the lives of four authentic men, who embody the philosophy of Sauvage, in real life. Tales of the wild is a series of documentaries that takes us on an extraordinary journey into the lives of four authentic men, who embody the philosophy of Sauvage, in real life. Four portraits of the quest for freedom and meaning governed by a desire to transmit one's passion.